Need an opinion on where you stand legally? The expert you need is a barrister. It’s barristers who have detailed and specialized knowledge on the specifics of the law. If you end up needing to be represented in court, again a public access barrister is usually the best person to do that for you. Barristers can now offer their services directly to the public without first instructing a solicitor. With no middleman, there’s an immediate financial benefit – just one fee. Barristers don’t require expensive offices in city center locations with numerous and costly backup staff, that single fee is not inflated by a large administrative burden. Importantly, with court proceedings looming, you can deal immediately and directly with an expert in advocacy and law, who is a specialist in the area concerning your problem, and who will represent you on the day. Barristers are able to carry out work for a fixed fee, dependent on the complexity of the case and the work required, thereby providing you with more control and certainty over your expenditure. Communications directly between you and your barrister are swift and you can benefit from your barristerâ&#x20AC;&#x2122;s advice online at an early stage. At Lawyers4U, you have direct and easy access to expert lawyers, who offer the best barrister advice online on the difficult legal problems you may be facing â&#x20AC;&#x201C; whether something that affects you personally or in your business. 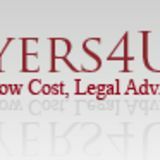 Lawyers4U makes choosing a lawyer stress-free. Your barrister will help you resolve your legal issue more quickly, more efficiently and often at a lower cost than a solicitor. 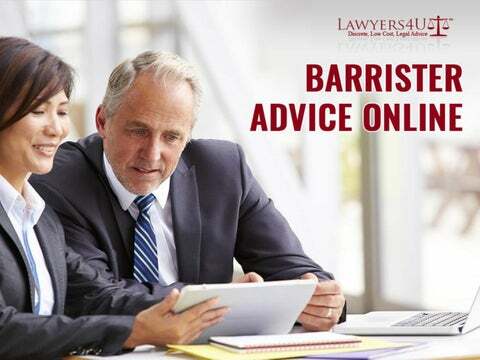 Finding a barrister through Lawyers4U is completely free. Why Get Barrister Advice Online and Not a Solicitor? Expertise: Barristers are equivalent to consultants. They are the experts in their chosen areas of law. They will provide answers to your problems, letting you know where you stand and what your options are. The efficiency of Service: Barristers are skilled at working out solutions to legal problems quickly and telling their clients. You wonâ&#x20AC;&#x2122;t have to keep chasing them to deal with your issue. Skilled Advocates: Using a barrister doesn’t mean you have to go to court. However, you do need to go to court; they are skilled advocates, who will present your case better than anyone else. Better Value: Barristers can charge less than solicitors because they’re self-employed and don’t have the costs of running a law firm. They’ll agree with their fees with you in advance of taking on your case or advising you on your problem.